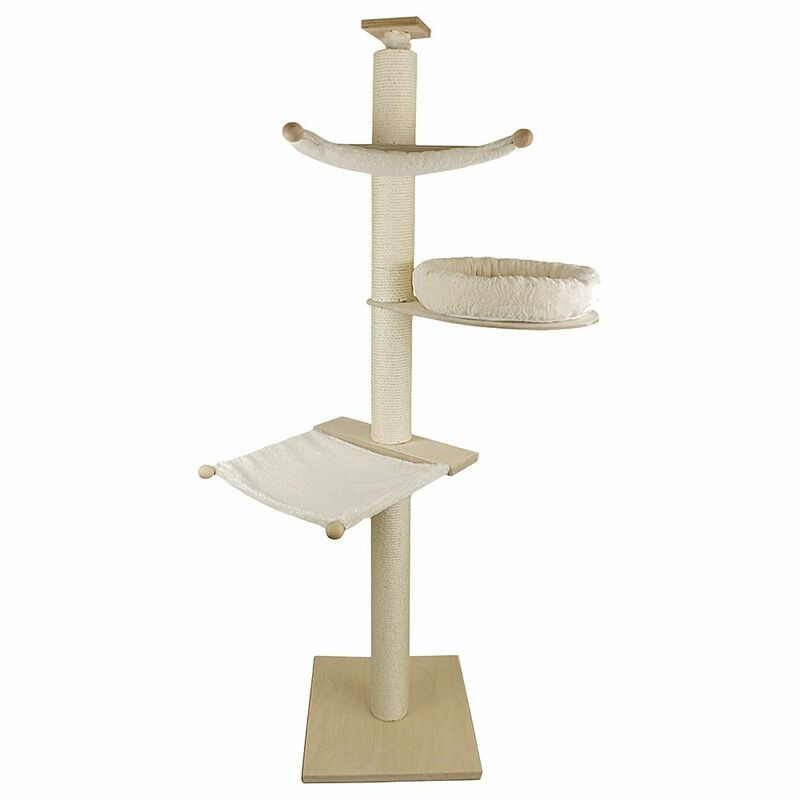 A large ceiling cat tree as the name suggests reaches from the floor to the ceiling. 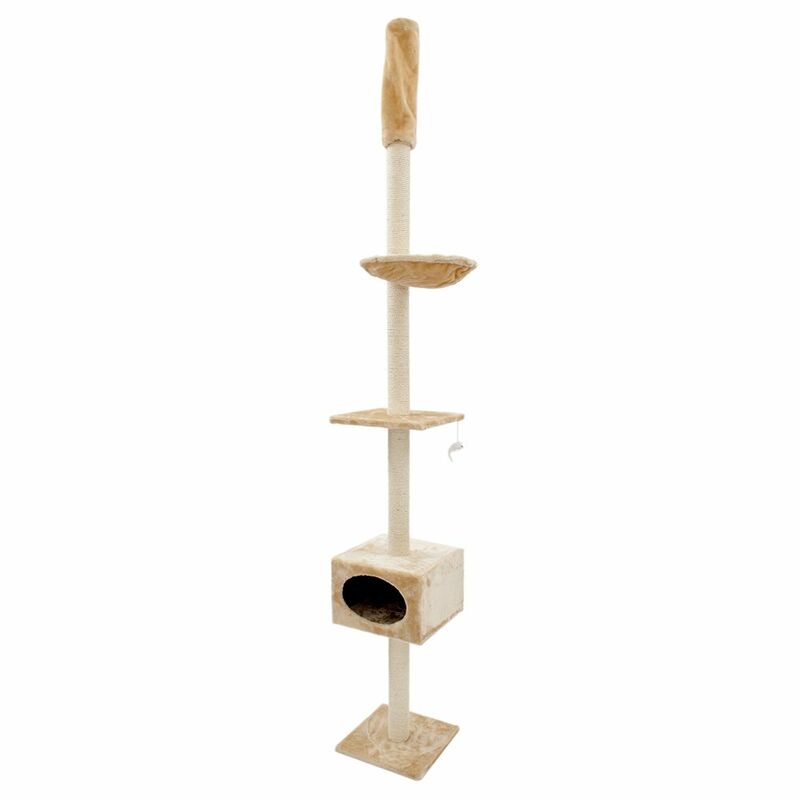 Most are adjustable to allow for different ceiling heights and it is recommended that they are fixed in place to prevent them from being knocked over. 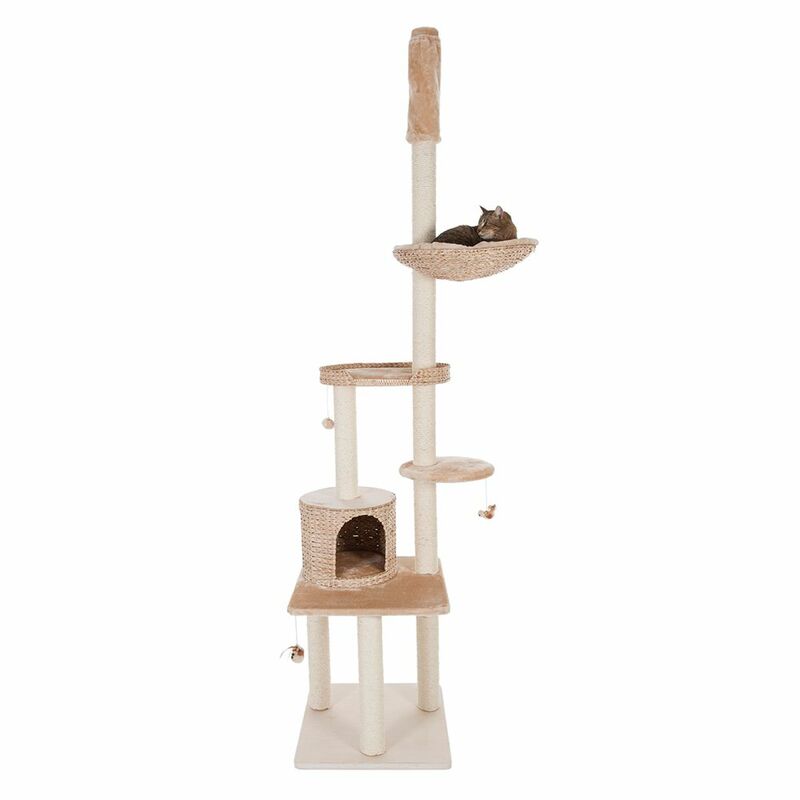 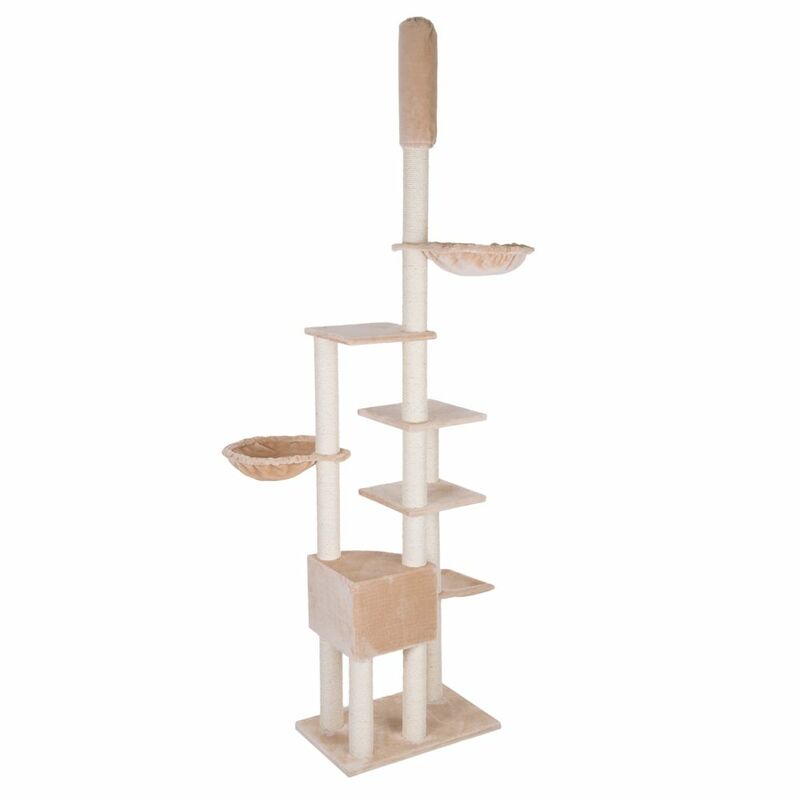 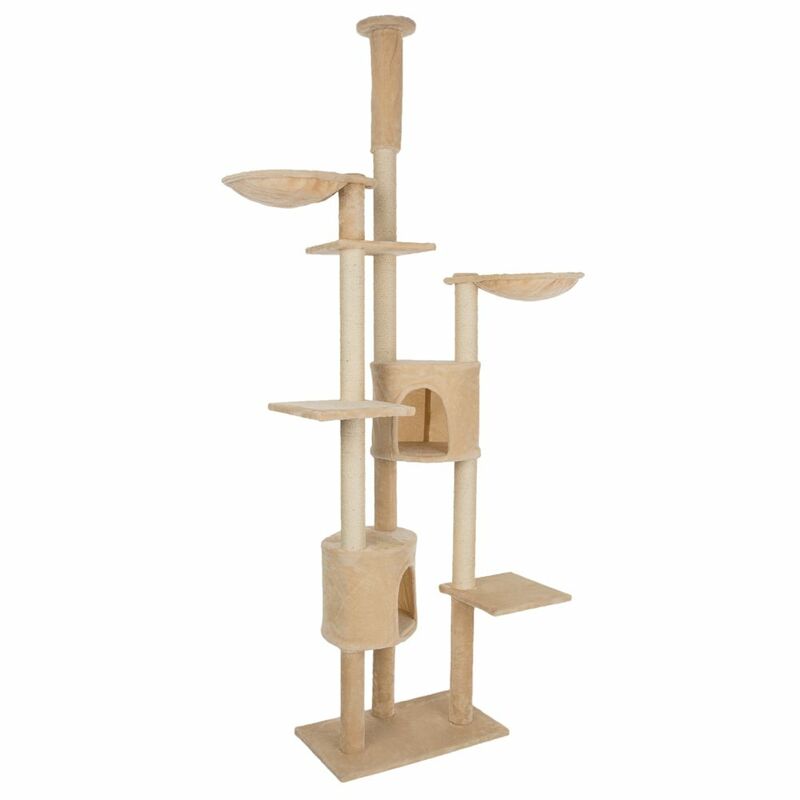 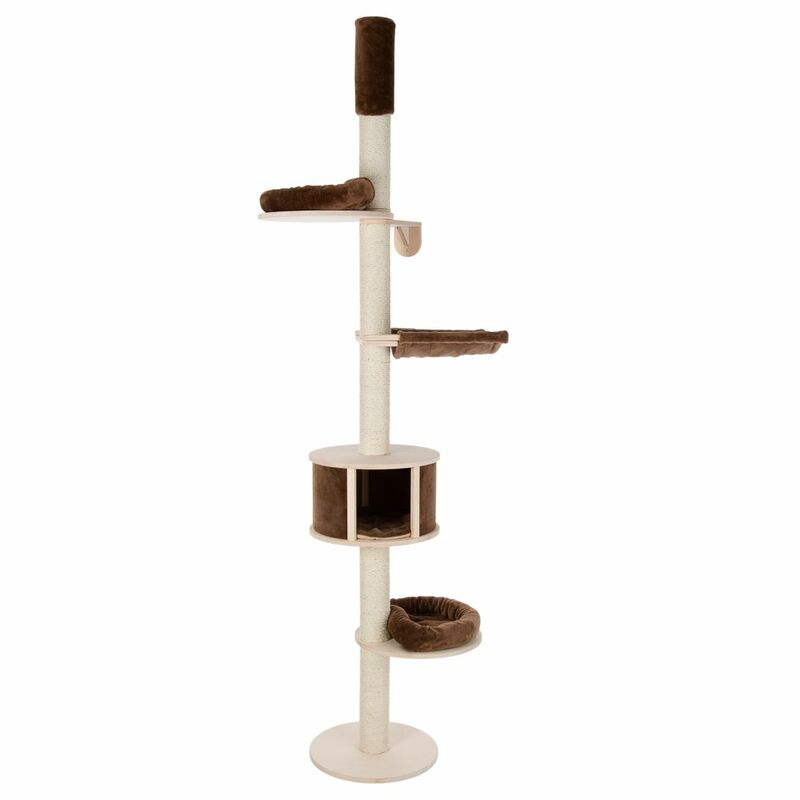 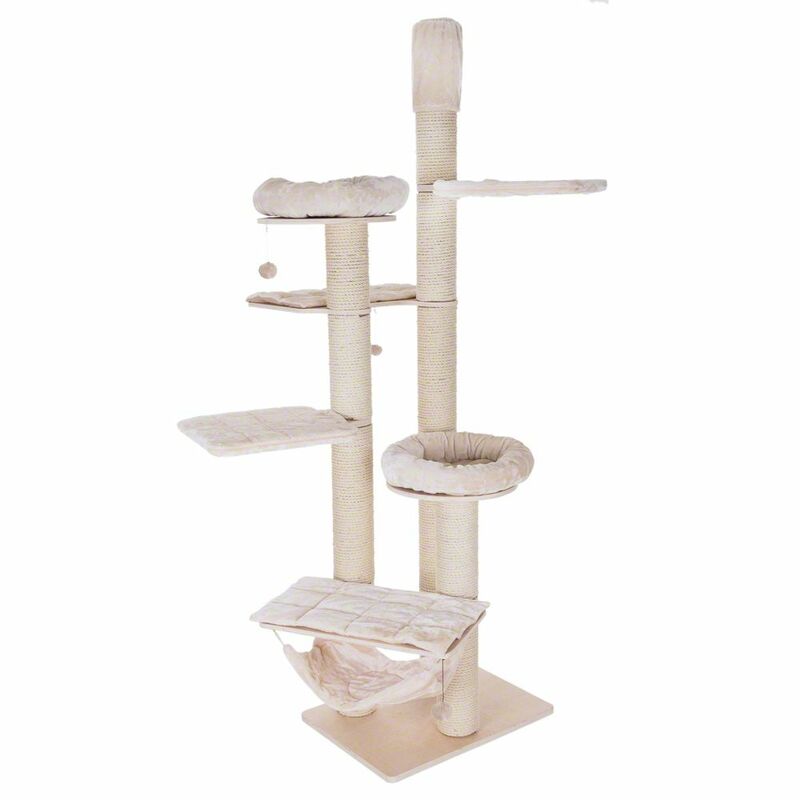 Ceiling cat trees feature muliple levels and various plaforms, dens and beds so are ideal for households with several cats.